An ideal gift for a man who's on the go! 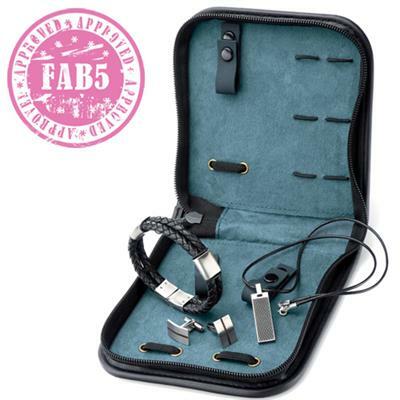 A selection of carefully chosen Fred Bennett jewellery in a smart travel case, perfect for overnight stays. Set includes Cufflinks and Necklace. Please note: bracelet not included.